Performance-based design of asphalt mixtures and review of key parameters, 2018. Materials and Design, 141: 185-201. How to choose where to add rejuvenator addition in asphalt plant? Where you add rejuvenator in asphalt plant determines the performance of the final mixture. Moreover, it can affect the emissions and safety. But the best way may not be the most common way. In the new paper we look at 10 different locations for rejuvenator addition. We were using a modern Ammann recycling plant belonging to BHZ. See the article here. 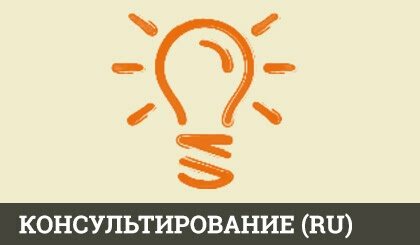 Did you know Russia is implementing Superpave specifications? 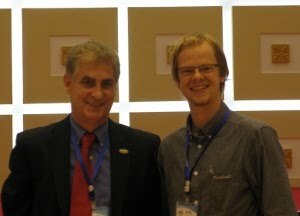 I found it out during my first visit to Moscow at the conference "Organic Binders in Road Construction" on 21-23. November 2018. Which performance test to use for designing mixtures and controlling quality? This was the question I was asked in Latvia. Here is an article describing why I recommended TSRST for inclusion in Latvian national road specifications. 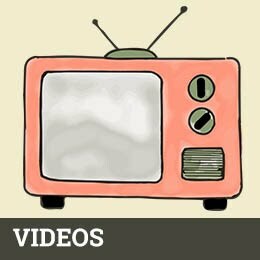 Click here to access. The industry journal Asphalt&Bitumen has published an article about our work on performance-based mixture design (in german). I hope this brings the research results closer to the practical use by the industry! The article can be accessed here. Variability is one of the main causes limiting production of highly recycled asphalt. But there are methods to improve it. In the paper I quantify by how much can the variability be reduced through milling and stockpile mixing operations. It turns out that highly variably pavement can still be used at up to 40%, if the right homogenization procedure is applied. See the full article here. You can also click on the video to the left to see a summary. How to apply rejuvenators to achieve maximum efficiency? If this is a question that does not let you sleep at night, please my new article. We performed a full scale trial to compare two rejuvenator addition points: on hot RAP versus on cold RAP. Then we analyzed the RAP binder to see if there are any differences. Hint: there were none, but that is a good thing! See why in the full article here. The positive results encouraged us to continue the research and soon an article concerning rejuvenator addition spot effect on mixture properties will also be published. The ISAP conference 2018 in Fortaleza demonstrated some interesting studies from all parts of the world. I presented a study on using performance-based test methods to balance the mixture performance. But that was non all. This is Brazil after all. The highlight of the conference was the evening party where everyone gave in to the Brazilian rhythms. I had the challenging task of delivering a presentation on communication at the E&E event 2018 in Berlin. It was a new kind of experience to give a non-technical presentation. The session was a big success, encouraging people to think about means to sell asphalt industry to the young generation. A PhD position is offered within a H2020 Research Project SAFERUP! in Latvia on the topic of 100% asphalt recycling under supervision of Martins Zaumanis. We are looking for early stage researchers with a degree in material science, chemical, mechanical or civil engineering. The project will deal with asphalt mixture aging, performance testing, and modeling. The call is open and will be closed on July 7th 2018. Expected start is September 1st 2018 for a duration of 36 months with a fully payed tuition according to H2020 rules. More information regarding the research project, the requirements and how to apply can be found on the SAFERUP!Website. SAFERUP! aims to provide the European community with innovative solutions that will form the urban paved environment of the future. Footpaths, bike lanes, roads, intersections, squares and all other walkable surfaces that we all use every day will be designed, constructed and managed to meet context-sensitive criteria including not only safety, mobility and costs (construction and maintenance), but also sustainability, environmental impacts, accessibility, aesthetics, circular economy and local economy preservation. The video summarizes how modern asphalt mixtures can be designed using performance-based test methods. 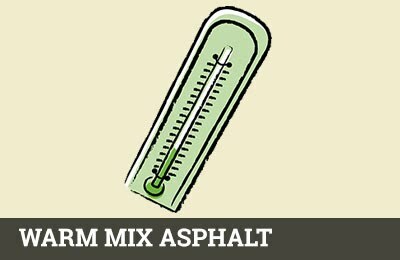 Conventional volumetric tests are not enough for characterisation of modern asphalt mixtures, including high RAP and polymer-modified mixes, warm mix asphalt, etc. Performance-based test methods are needed. In the review article we look at the benefits of using performance tests, their use for mixture design and QC. Based on close to 200 literature sources we provide a table with the expected trends in test results due to various changes in mixture design. Dear US colleges, I will be glad to meet you at the TRB 2018 conference. I will present a paper on choosing the best location for rejuvenator addition in an asphalt plant. The event number is 640 and it will take place on Tuesday, January 9 at 1:30PM-3:15PM. The presenation number is 18-00274. I was invited to give a presentation in the 29th International Baltic Road Conference in Tallinn, Estonia. The event hosted 600 people from the Baltic countries and beyond. I gave a presentation on the means for choosing the best location for adding rejuvenator in an asphalt plant. A publication will follow soon. -"Evaluation of reclaimed asphalt binders with rejuvenators" was presented as a poster and received the best poster award. Thank you you Maria Chiara Cavalli for putting in the work to prepare it. -"Assessment of rejuvenator addition in asphalt plants" was presented by Lukas Boesiger and received great interest from the industry. International Road Federation has awarded our 100% recycling project the Global Road Achievements Award for best research in 2016! Last week I was given an opportunity to present my research to a wide audience of experts in EE congress 2016. This was probably the largest hall that I have presented in and most probably one of the most demanding audiences too. I presented the aspects of designing 100% recycled asphalt the challenges that we have to face before fully being able to implement this into everyday practice. The sessions on recycling and also many others were absolutely fantastic and I got a chance to discuss future of recycling with many people and learned some new ideas from them for moving forward with 100% recycling. All in all a great conference! My paper is available here and the presentation here. There is also a video of the presentation available here. I had the pleasure to participate in TRA 2016 in Warsaw. Since this was my first presentation of 100% recycling research in Europe, I participated with an article providing a helicopter view summary of 100% recycling and my research. My poster is available here and the article here. Participation in United Nation simulation "Strong Youth- Peaceful Tomorrow"
The UN simulation was a three-day (April 2-4, 2016) event with the goals of deepening the understanding about the UN. This year the topic was "Strong Youth- Peaceful Tomorrow" and students between 15 to 18 years of age from five countries participated in the event in Valmiera, Latvia. I had the pleasure to tell about sustainability in road construction, challenges that the changing environment imposes on us and the potential opportunities that we are trying to explore. We also organized a workshop where students came up with ideas on how to increase sustainability of transport system. papers (for two of them I was substituting the main authors). Despite the intense schedule, I was also able to attend some great presentations by my peers, including my favorite by Goeffrey Rowe (in picture). Visiting temples and the "Jurassic Park" sibling Zoo of Dalian was an added bonus to the whole experience. Eight different wearing courses were monitored for 11 years in Latvia to assess the materials used, mixture designs, construction practices, and performance of the pavement. The 500m long sections were built on a road with one of the heaviest traffic intensities in Latvia. The results are summarized in an article in "Materials and Structures" describing the performance of the sections and the resulting decisions that were made to improve road construction specifications. It was a one-of-a-kind experience to participate in TEDx Riga conference. The preparation started a couple of months before the conference with lectures from presentation trainers, trials of the early versions of the presentation and painful modifications of the content. Even a theater director was recruited to help presenters polish the delivery style. The week of conference was busy with interviews, final checks, rehearsals, and stress. But it was all worth it! I want to express a large thank you to everyone who helped in preparing the presentation, rooted for me and sent best wishes throughout the day and after seeing the broadcast on TV. Some pictures from the conference, an interview in National TV channel. The presentation will be available in a couple of weeks time on TEDx YouTube channel. It was an unforgettable experience to participate in TEDx Riga story hunt competition finale that took place in the Stockholm school of economics in Riga. Four stories were presented and it was a great honor to be chosen as the winner with a chance to present to global audience at TEDx Riga on June 11 2015 at Splendid Palace. Here is the video application that got me to the stage, some pictures from the story hunt finale and a short video with emotions after the event (in Latvian). 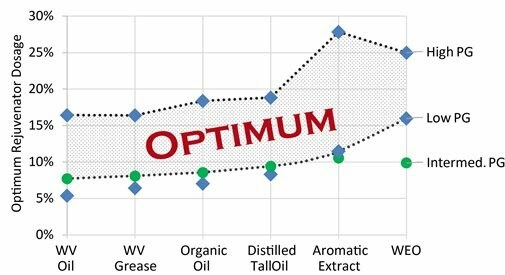 energy compared to virgin and some oils reduced moisture resistance slightly. Download the article here. 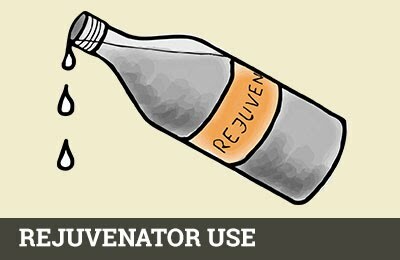 How to choose rejuvenator type and dose? 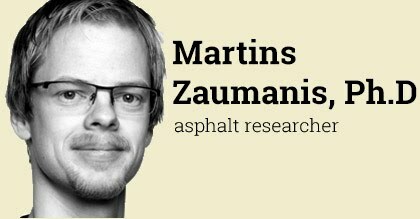 We have the answer and it is published in the latest article: "Determining optimum rejuvenator dose for asphalt recycling based on Superpave performance grade specifications". It contains practical means for minimizing the required amount of extraction and testing of RAP bitumen in order to choose a rejuvenator type and dose that will satisfy specification requirements. Six rejuvenators at two doses each were used for developing and verifying simple relationships between the Superpave PG grade (and penetration) of RAP binder and rejuvenator type and dose. Finally, a five step procedure is described for analysis of the RAP stockpile to allow ensureing correspondence to the required Superpave specifications or screen the RAP/rejuvenator combination that can not do the trick. Download the article here. A truly unique article entitled "100% Recycled Hot Mix Asphalt: a Review and Analysis" has been published by journal "Resources, Conservation and Recycling." This is the first scientific article presenting 100% recycling technologies and the necessary steps to produce totally recycled asphalt. I have also created a video describing 100% asphalt recycling which can be viewed on the left. -Eleven readily available technologies for 100% RAP in-plant recycling. -Performance of such mixtures dating back from the 1970s until nowadays both in the field and lab. -The methods for mixture design of 100% recycled asphalt. 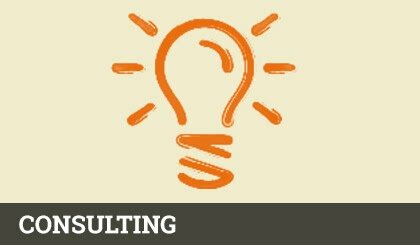 -Practical steps to ensure performance while minimizing wasted material. 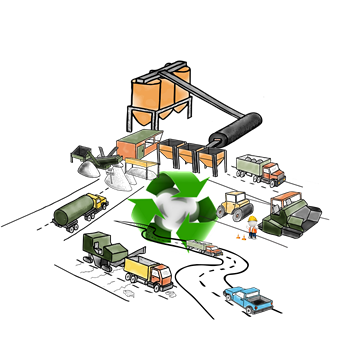 -Estimates of the economic gains from total recycling per tonne of mixture and a calculation is performed to determine the time to break even initial investment in plant technology. 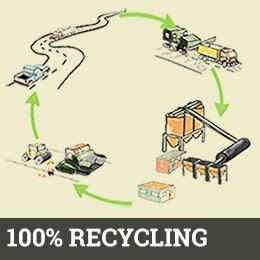 Further information on 100 % recycled asphalt is available in this website here. Latvian Association of Civil Engineers has published a news story in its quarterly magazine (and website) describing the research of 100% recycled asphalt in Worcester Polytechnic Institute and graduation of M.Zaumanis. The story can be accessed here. Journal "FUEL" has recently published our paper "Rheological, microscopic, and chemical characterization of the rejuvenating effect on asphalt binders". The paper aims to develop a fundamental understanding of asphalt binder rejuvenation process including chemical, micro-mechanical and rheological effects. Binder previously characterized by SHRP was used in the study to compare the properties in virgin, aged, and rejuvenated states. The article can be accessed here. The paper "Evaluation of Different Recycling Agents for Restoring Aged asphalt Binder and Performance of 100% Recycled Asphalt" has been published in journal "Materials & Structures". The article describes performance of 100% Recycled mixtures in comparison with virgin mixture having equivalent gradation and binder content. Six recycling agents were compared and a couple of them did provide the required performance in respect to rutting resistance, fatigue, low temperature performance and binder softening. Mostly empirical test methods were used. The article can be accessed here. The research has come to a successful end and on April 4 I presented the dissertation "100 % Recycled Hot Mix Asphalt and the Use of Rejuvenators". The committee members, including Rajib Mallick, Mingjiang Tao, Tahar El-Korchi, and Juris Smirnovs accepted the dissertation and awarded me with a Ph.D degree. I would like to thank them as well as Robert Frank for the advises and guidance during my research. I am also grateful to all the people who have had discussions with me, helped with providing materials, ensured testing, organized plant visits, etc. The dissertation is much richer because of this collective effort. I tried to mention all of you in the dissertation "Acknowledgments" part. Thank you! The thesis will be available made available publicly likely by the end of this summer. 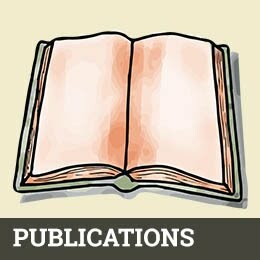 Article on the use of more than 40% RAP published! An article describing the principles and reviewing the state-of-the-art literature of asphalt mixtures containing more than 40% RAP has been published in "International Journal of Pavement Engineering". Access here: "Review of very high-content reclaimed asphalt use in plant-produced pavements: state of the art"
I had the chance to present the poster describing part of the research at the annual meting of Association of Asphalt Pavement Technologists at Atlanta. Thank you for visiting and providing great ideas on moving forward. ISAP TC on Constitutive Modelling held its annual meeting during TRB 2014. Among many great speakers, I had the honor to present the latest research findings to a very professional and surprisingly large audience. Part of the presentation was devoted to choice of optimal rejuvenator dose, while the other part explained 100% RAP hot mix asphalt production (see figure), the necessary procedures for preparing materials, and required changes in mix design. Scientific articles that will include the data presented at the meeting are going to be published in mid 2014. A month long visit in EMPA research center in Switzerland is finished. Martins Zaumanis and Xiaokong Xu performed testing as a part of the 100% recycling study. The testing was big success and after processing the results are going to be published in collaboration with Lily Poulikakos, and Manfred Partl from EMPA. Thanks to everyone who helped to organize this, provided the testing equipment and instructed on the use of it. 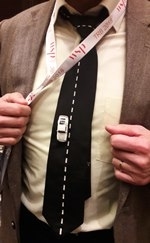 At the spring of 2013 Worcester Polytechnic Institute organized a student business idea competition "i3". This event encourages graduate students to consider how their ideas and innovations could become the foundation for new products, new commercially valuable processes, and even new companies. Students develop five-minute pitches that explain, without the aid of visuals, how their innovations addresses important commercial or societal needs, why they are better than existing technology or processes, and how they might gain the interest of the marketplace. The presentation of 100% RAP made it through two preliminary rounds rounds and was presented at the final to a panel of experienced businessmen. Lithuanian capital Vilnius hosted the Baltic Road Conference from 26 to 28th August 2013. The event takes place in one of the three Baltic states every three years. This time the conference attracted more than 500 participants from many countries and was a big success. The poster was voted by participants to receive the best poster award. Phase II of the research is aimed at evaluating the performance of 100% RAP mixture and comprehensive research plan has been developed for evaluation of binder and mixture performance properties. Six different products are used for rejuvenation. For a quick view of research, some test results are summarized in the poster. The first phase of the research has been successfully completed and the results were published in TRB 2013 in Washington DC. The study involved screening of 11 different products to evaluation of their use as rejuvenators. Five of them showed promising results. First phase of the research was aimed at screening 11 different rejuvenators. The effect these products on softening binder was verified as well as mixture properties at low temperature. The website has been lunched!! !